In this era of lightning-quick internet connections, vast flight grids, and smartphone GPS devices, it can feel as if there are no undiscovered places left in the world. This is not entirely true, however – many landscapes maintain only the most tenuous of human relationships. Read on for 5 places that remain as rugged, isolated, and treacherous as when they were first explored, and plan a visit…if you dare. Sure, Everest is still the world’s highest peak and an ascent that keeps dedicated mountaineers awake at night, but Pakistan’s K2, the second highest peak in the world, may be even more dangerous. Looming over the border of Pakistan and China in the Karakoram mountain range, K2 stands over 28,000 feet tall and forms a sheer pyramid of ice and snow that coalesces to a deadly point. Known by climbers as the Savage Mountain due to the perilous difficulty of its weather and terrain, scarcely more than 300 people have stood at K2’s summit. Compare this to Everest, which has welcomed over 3,500 successful climbers to its fabled top. It is rumored that 1 in 4 climbers who have attempted to summit K2 have perished in the process, and that the mountain holds a curse against female climbers. Sounds superstitious, to be sure, yet to date, every woman save one who has attempted the expert climb died during the process or on another mountain soon afterwards. Perhaps Italian mountaineer Fosco Maraini said it best when he called the peak “just the bare bones of a name, all rock and ice and storm and abyss. It makes no attempt to sound human. It is atoms and stars. It has the nakedness of the world before the first man – or of the cindered planet after the last.” If that doesn’t sound foreboding, we don’t know what does. Named after a militant tribe of Greek myth where the women fought alongside the men, the Amazon Rainforest still retains an aura of mystery and danger to outside travelers. Stretching over 2.1 million square miles and nine nations in South America, the jungle is vast, deep, and richer in biodiversity than any other similar ecosystem of the world. In fact, 1 in 10 of every species on earth makes its home in the Amazon Rainforest. Travelers hoping to experience this jungle paradise firsthand, however, are often in for a rude awakening. Paramount among the dangers of the rainforest are not bloodthirsty jaguars or piranhas, though these species are certainly far from friendly. Rather, smaller pests such as mosquitoes and leeches carry deadly diseases like malaria that can strike fear in travelers without the proper preparations. Amazon explorers are also sickened by the unfamiliar bacteria found in the food and water. From October to May, the Amazon is deluged by heavy rains – so heavy, in fact, that roads are often swept away and plains are flooded. In the rapidly rising currents of the Amazon River, boaters can lose their lives. Although humans have lived in the Amazon’s inhospitable embrace for thousands of years, it’s no wonder that many of its inner reaches still remain relatively untouched by the industrialized world. The new danger of the Amazon? Deforestation and the tragic toll it takes on the priceless flora and fauna that live within the mythic forest. In a somewhat bizarre twist, the isolated island once hosted a population of 6,000 reindeer, who were artificially introduced by government authorities to provide a possible source of sustenance for a cluster of men stationed on the island to operate a weather station and radar navigation site. Once the men closed up shop after WWII, the reindeer were left to their own devices and the herd surged in size. When a cruel, bone-crushing winter reared its ugly head in 1963, however, the once-robust herd was utterly devastated. By the time humans paid the island another visit in 1985, the herd had vanished. Still a lonely outpost in a largely uninhabited, freezing sea, it doesn’t look like St. Matthew Island will become a bustling town any time soon. Until then, only the rare visitor makes the nearly 24-hour maritime journey besides an occasional polar bear, and those who do have learned from the example of the reindeer, avoiding the island during its harsh winters. Here are some fun facts about the continent of Antarctica: It is the world’s largest desert. It is colder, windier, and higher than any other place on earth and holds 90% of all the ice in the world. Its average annual temperature is -56 degrees Fahrenheit. In the southernmost reaches of Antarctica, the sun dips below the horizon in March and doesn’t rise again until October. Planning your visit yet? Humans have found a way to survive in all kinds of dangerous and precarious climates, but Antarctica’s vast field of ice has stumped even the hardiest of explorers. Since it was first sighted from the deck of a boat in 1820, Antarctica has nevertheless lived large in popular imagination. Today, although no one makes the continent a permanent home, between 1,000-5,000 researchers and staff inhabit various stations on the continent and nearby islands every year. Although the most dedicated can see Antarctica firsthand by making the expensive journey by boat or plane, they still do so with caution. Whether it’s the extremely low temperatures, isolation, yawning crevasses in the ice, or hurricane-force winds, Antarctica will always require specialized training, extreme endurance, and just a dash of plain old foolhardiness from those that make the trip to its forbidding surface. The globe’s most remote and uninhabitable region is, in fact, the ocean floor. Without advanced equipment to resist the crushing water pressure and life-threatening side effects like nitrogen narcosis and oxygen toxicity, the deepest depths of the ocean are highly deadly to individual divers. Definitions for a “deep dive” vary, but the Professional Association of Diving Instructors classifies a deep dive as any that range from 60 to 100 feet in depth. Only 12 brave souls have achieved solo dives below 800 feet in depth, which is actually fewer people than have reached the moon. Kind of puts things in perspective. 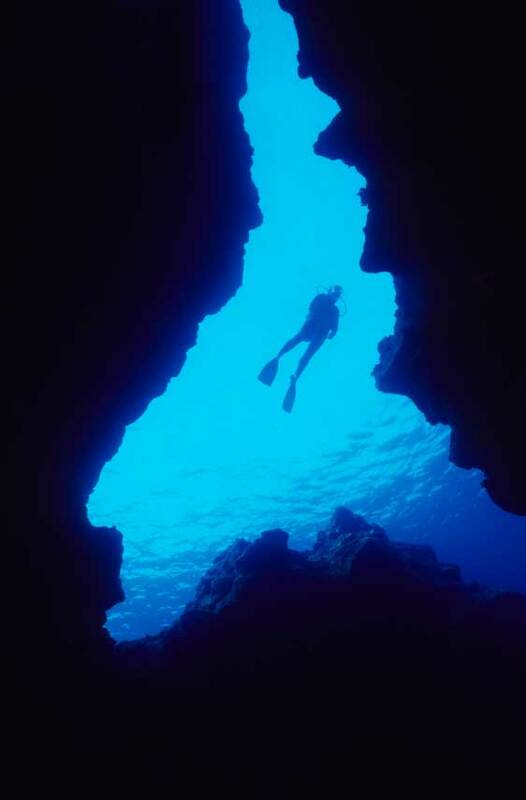 Nuno Gomes currently holds the record for the deepest SCUBA dive at 1,044 feet. In recognition of the high mortality rate, the Guinness Book of World Records stopped publishing the attempts of divers to accomplish deep dives on conventional air.